On the way back from Beit Shemesh after seeing the kids at the summer camp school, we had to take a road which goes through the Palestinian territories. This journey is not a currently hugely risky one, but incidents do sometimes happen on rare occasions. So roads are designed to cope with potential sources of terrorist threats. These blocks are there, so if you hear gunfire, you stop your car in behind the concrete blocks. 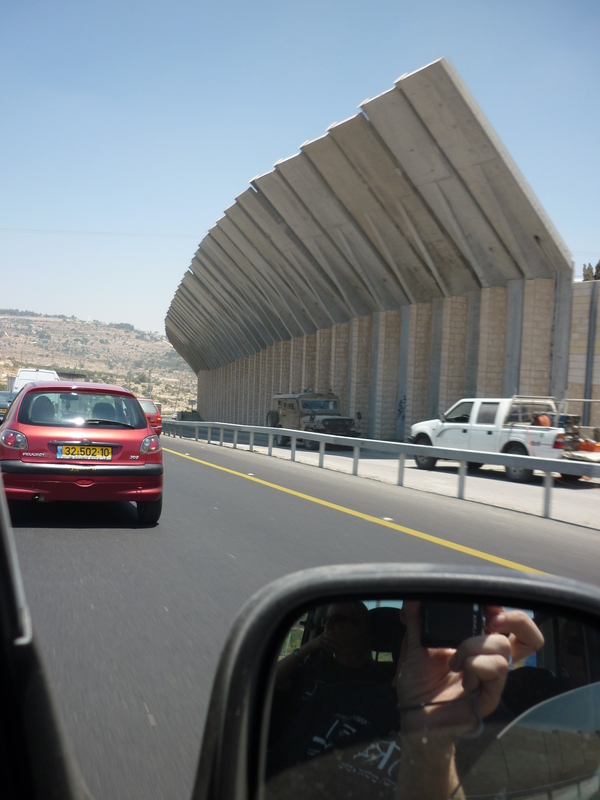 Here this wall with canopy is there as motorists often face stones being thrown at their vehicles. 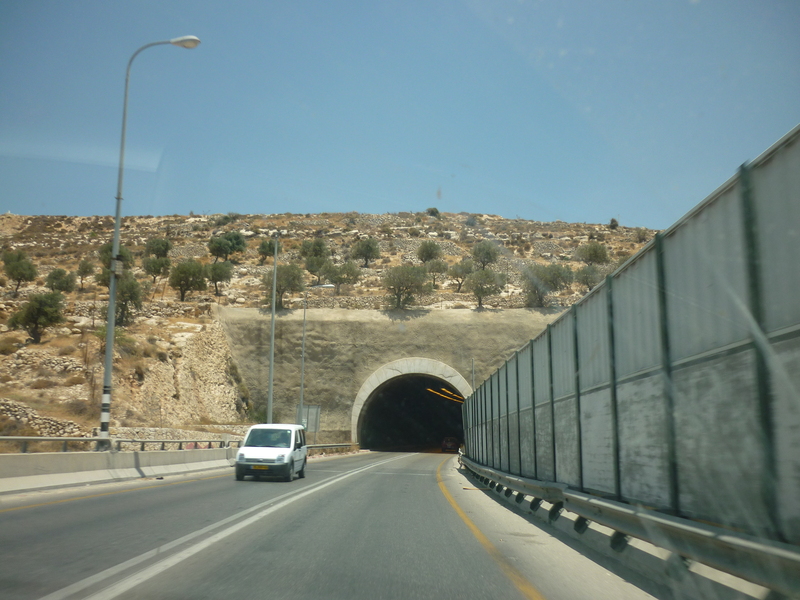 The roads that interconnect with Jerusalem have a few tunnels due to large number of mountains meaning roads in this country are rarely in a straight linear direction. Of course going in and out of these parts means going through border controls, coming out of Jerusalem is simple, coming out of part of the West Bank means usually just driving up to a solider at a kiosk and a few questions are asked, I think people in vans are more likely to searched or have more questions asked. Cars with green licence plates (Palestinian authority) are not allowed out of the West Bank. 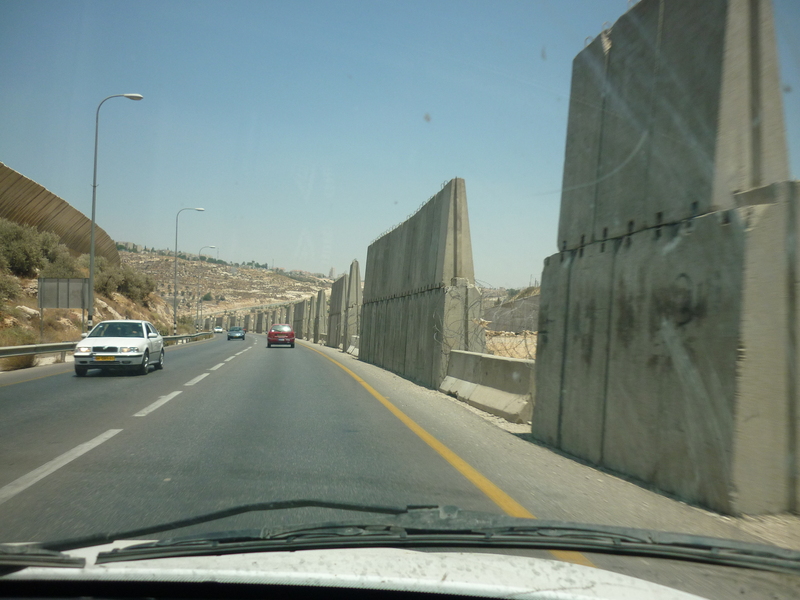 If this sounds like a hugely scary experience, its important to realise attacks on motorists are rare and you are only really likely to encounter hostile encounters in risky places like Hebron or Ramallah. This road is major route and I have been through these roads quite a few times now. More concern for safety for motorists is from accidents as the standard of driving is worse than a western country.